An anonymous reader calls our attention to California's familial searching policy, which looks for genetic ties between culprits and kin. The technique has come to the fore in the last few years, after a Colorado prosecuter pushed the FBI to relax its rules on cross-state searches. "Los Angeles Police Department investigators want to search the state's DNA database again — not for exact matches but for any profiles similar enough to belong to a parent or sibling. The hope is that one of those family members might lead detectives to the killer. This strategy, pioneered in Britain, is poised to become an important crime-fighting tool in the United States. The Los Angeles case will mark the first major use of California's newly approved familial searching policy, the most far-reaching in the nation." Lawmakers in Papua, Indonesia have thrown their support behind a bill requiring some HIV/AIDS patients to be implanted with microchips in order to better monitor the disease. In addition, legislator John Manangsang said by implanting chips in "sexually aggressive" patients, authorities would be in a better position to identify, track and punish those who deliberately infect others. Health workers and rights activists sharply criticized the plan. It would make the dating scene a lot less scary if you could carry your AIDS chip reader into the club. Starbucks heeft afgelopen maandag toegegeven dat een laptop met de persoonlijke informatie van 97.000 medewerkers is gestolen. 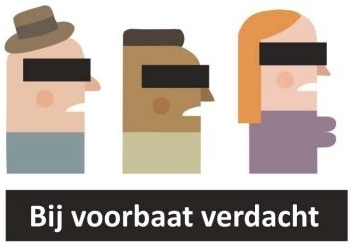 De hackers die de database van farmaciehandelaar Express Scripts kraakten, hebben daarbij ook de patiëntendossiers van CIA, FBI, NSA en Ministerie van Defensie werknemers gestolen.